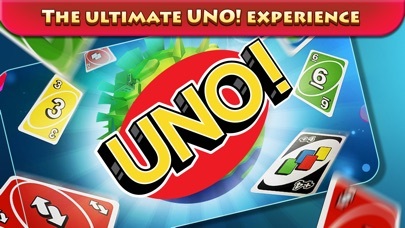 Uno is fun no doubt, however, it uses a terrible coin-based economy that is essential to play the game. You need at least 100 coins to play a single round, and if you want to play with friends, you need to buy keys to make private rooms. 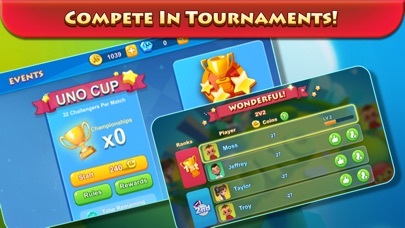 If you aren’t the best at the game like me, you lose coins every time you play, and therefore must wait for the game to give you more out of pity to play another round. For room mode we need more rules that we could add such as taking off the challenge rule, adding the draw till match, and JUMP IN! I think with these rules it could be fun and having unlimited time limit could be more gained from scratching cards instead of paying money for that option. It keeps glitching out as soon as I get to the title screen. I can’t hit play or anything. I don’t recommend this game at all. Okay, so I think we should be able to choose what we go by in game. I was trying to pick her username, and I ended up with Simon. I accidentally clicked the confirm button, so now I’m stuck with it. And the main problem is, I am a girl, and I don’t want to be known as Simon. The player should be able to choose their user name, and also there should be a skip tutorial option. I tried to re-download this game because I had it a couple years back, but it got worse, and I’d like to see it back to kind of how it used to be I’m pretty sure that I was able to put my user name then, so why not now? I hope that this is seen because I am really frustrated and do not want to be known throughout the game as a female Simon. Please fix this issue and if you’re not able to let people choose their usernames, please let me change mine. 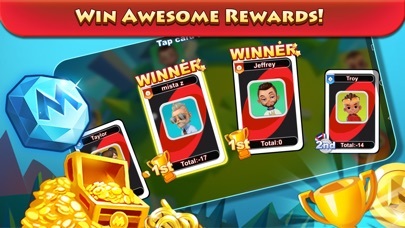 I’m losing more coins than winning coins, which makes this game not really fun. 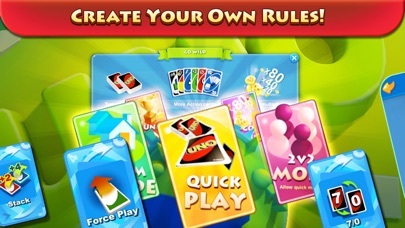 Uno is a card game that doesn’t need coins, and is based on fun. I never get lucky and because of that I have to watch videos and scratch tickets for half an hour just to play a card game. 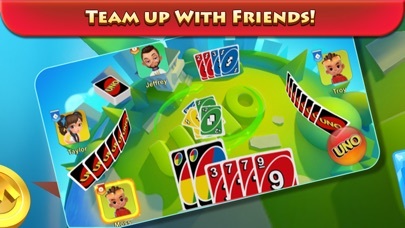 This is a horrible example of what uno is unless you want to gamble. Remove the coins and make it a separate option so that your game is more fun. I think the app needs improvement on laggy-ness as well as its feature where it does not let you easily change the profile photo or the avatar photo . I also think many of my friends and i say majority of the people who play want to change their photo but can’t easily do so.. Loved the idea of the UNO without family drama. For me, the update always glitches when I am down to two cards. Sadly I lost over 1000 coins during one game due to being disconnected but I was able to see the game play out. I sent two emails to developers, no response yet. I hate that you’re unable to personalize your avatar. All the custom options for background are unavailable for purchase. Fix the kinks, offer customizable options and I’ll be a satisfied player. This game doesn’t let you choose what mode you play. It forces you into online 2v2 and you can’t quit the game unless you close the app out. My friend tells me to go into the help section for the account thing, I do. IT DOESN'T LOAD! What’s the point of a help section if it doesn’t even load? Want to play with friends? Please buy these one use items! I had over 14000 coins I built up plus purchased and this game scammed me it just cleared all my coins away wiped my account clean said I moved up to next level and left me with 100 coins only and I was playing the lowest level So there was no reason it should of taken all my coins away I’m completely disgusted and now I can’t play anymore don’t purchase or waste your money on this it’s a scam!!! I like to play uno, I play it almost everyday but when I try to buy coins or other stuff it doesn’t let me. Please fix this. UNO is one of my favorite games! It’s so much fun but I wish we could change our profile. Like for an example, you could make it to where we could make ourselves as avatars to make it more like ourselves, second of all I wish we could change our name cause right now I’m Snowflake and I’m kinda regretting the name. Typical Uno. Fun but wish the games weren’t timed, it’s SUPER annoying. So I am trying to buy something within the game, but it says that this feature is not available. Can someone please help me with this? Other people have explained it better than I could, also I every time I try to play now it says I need to log back in but there’s no option to log back in? Considering deleting if not fixed soon. I think it’s already been going on for about a month or so. Update: I did end up deleting this and just now redownloaded it to see if my problem was fixed. It was, and I’m very glad my info is back and that I didn’t have to start over. Sad it took so long, though. At the beginning of the game, after entering your age, the logo pops on screen but you can’t do anything. Idk if this has been reported before, but I still can’t play the game! What do I even do at that point? The UNO is a great game to play with a friend. But I believe there should be a way to share your coins or diamonds with your friends. I cant seem to find that option. I only want to play with my friend and when I am low on coins and the other is not, there needs to be an option to share in-app purchases with one another. This would really make me LOVE the app. Please consider this Mattel163 Limited!! Asap!! 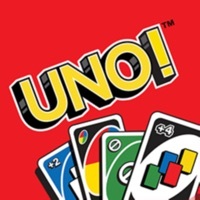 UNO is a great game for playing with friends competitively or just for fun. The only problem i have with this is that I can’t customize my name- I know there should be an option for this because my friend tried to show me how but on my phone there was no button. Everything else is great it’s just this one problem. Hope the creator sees this and fixes the mistake with an update. One star because the way you have to play the game is HORRIBLE I will not play this game again! I like the old format, the moving of the Uno planet makes me dizzy!! This game is addicting but lately everytime I play it I get super frustrated because it constantly freezes on your turn. It acts like it’s loading and won’t let me play the card. I usually end up having to keep the card. Or it picks whatever color wild card it wants while I’m tapping on the button but won’t let me do anything as it ‘freezes’ a lot of my turn. If I could give it 0 stars I would. Literally you have to play the low gold the entire time if you want too keep playing. And teams are trash unless you actually have friends who are there too help. Can’t count how many times I lost 800 coins because my random partner sabotaged our game by purposely trying to lose. I like to play with my girlfriend when we get bored. We had lost six ridiculously fast games in a row when all of a sudden the losses from the x2 game mode went from 200 coins to 500. We both lost all our coins that we had just watched all the available ads to get. This is ridiculous. We can’t play again for two hours, unless we spend money. Not gonna happen if we could lose all of it at once in the lowest risk game mode. The app also has a vip option. This displays a ribbon on your icon, showing you’ve made a purchase. If you look at your profile in the home screen and notice it says V.I.P. you should know that this doesn’t mean you’re vip. Don’t tap it. If you do, it will push you to continue through the steps of purchasing all the way to purchasing. You can only cancel when iTunes asks you to confirm the purchase. This is clearly a ploy to push kids into accidentally buying things. Not a very classy move.